When Aleyna told me she needed a shoot, I was totally pumped! I’d been looking for a reason to make a red dress and this was it. PLEASE, tell me how you put the flowers over the shoulder? this is STUNNING!!! Sure! I start by laying a piece of felt over the shoulder of one of my dress forms and then cut it to the size and shape I’m looking for. 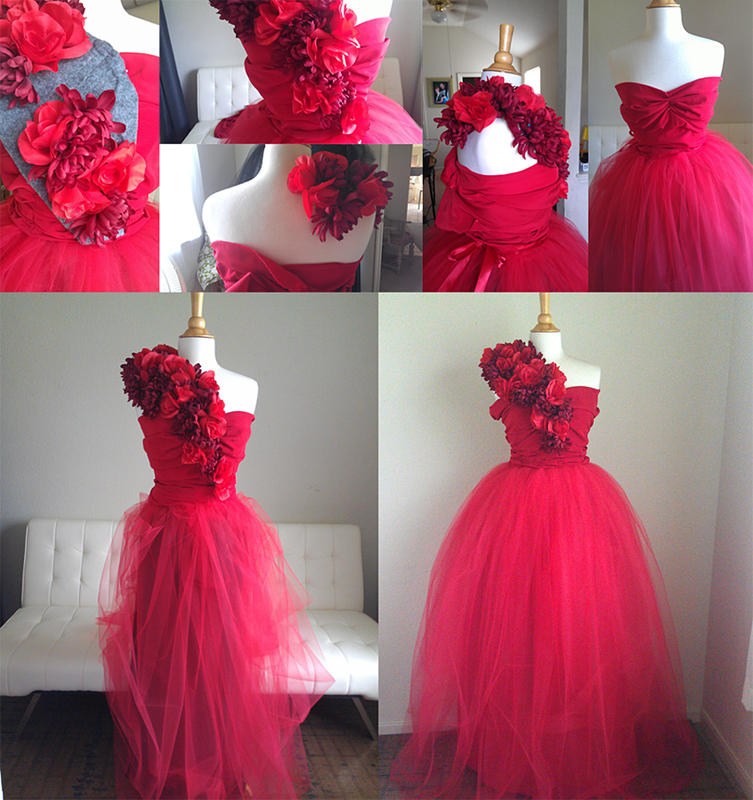 I pin it to the mannequin and then pin flowers to the felt, adjusting as I go. Once I’m happy with how it looks, I glue the flowers in place (I use hot glue). I put a thick layer of paper between the felt and the dress form just to make sure the glue doesn’t seep through and glue everything to the mannequin.